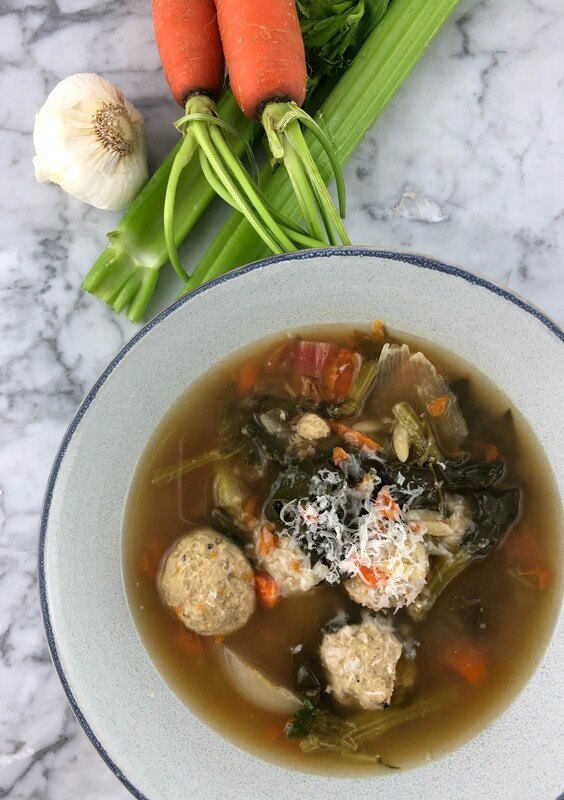 This delicious traditional “Italian chicken meatball soup” is packed with flavor and is so good for you.. My father has always told me how onions and garlic were the medicine of their time and I believe there are so many benefits! Most chicken soups are made with a whole chicken, which is delicious and is a classic but for those who want to change it up a little, this one is super tasty and different..
the remaining 30 min of cooking remove the carrots and mash in a bowl, then put back in the soup. as far as the celery and onion you can take out and discard or keep in the soup. its nutrients are in the broth now, so its up to you if you want to eat them. wife : mother of 2: loves to cook REAL food: health: less is more: blogger: and humbled daily!